You'll be £14.99 closer to your next £10.00 credit when you purchase Heinrich Himmler. What's this? Order within the next 7 hours, 9 minutes to get your order processed the next working day! Heinrich Himmler was the commander of the SS, and as founder and officer-in-charge of the Nazi concentration camps and the Einsatzgruppen death squads, he was responsible for implementing the extermination of millions of people. By the time he died he was the second-most powerful man in Germany and regarded himself as Hitler's natural successor, going so far as to attempt to negotiate independent peace with the Allies. Based on US documents handed over to the German Federal Archives and the testimonies of Himmler's family and staff, this book examines how a seemingly ordinary boy grew into an obsessive and superstitious man who ventured into herbalism and astrology before finally turning to the ‘science’ of racial purity and the belief in the superiority of the Aryan race. 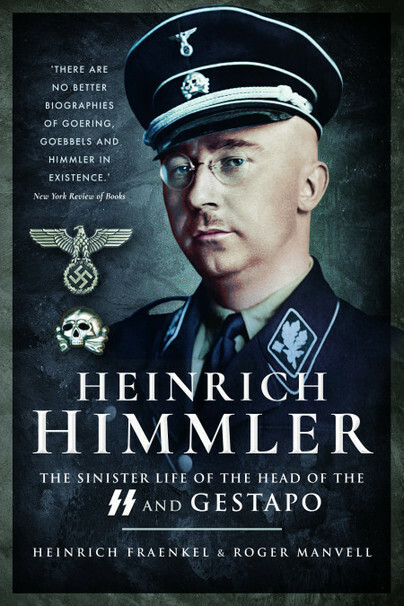 Filled with insights into Himmler’s private life, activities and beliefs, this is an important study of one of the most sinister figures of World War II. This is a classic study of one of the most evil people in history and as such deserves to be reprinted. A detailed review of the life of Heinrich Himmler and an analysis of the horrors he encouraged and oversaw. This new book looks closely at one of the most notorious individuals of recent history – Very Highly Recommended.